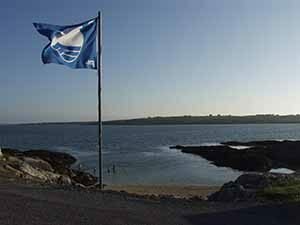 79 Irish beaches and six marinas in Ireland have been awarded Blue Flag awards this year, down one on last year. Among the recipients of Blue Flags are Ballymoney North Beach in Wexford, winning the award for the first time. Brittas Bay North in Co Wicklow regained the Blue Flag it lost last year while Fenit Marina in Co Kerry has been awarded the Blue Flag for the first time. Three beaches that received Blue Flags in 2015, Redbarn and Garretstown in Co Cork and Portrane in Dublin, did not this year meet the excellent water quality standard required for Blue Flag status. Ross Strand in Co Mayo was not awarded the Blue Flag due to there being less lifeguard cover than advised during in-season control visits. The awards are administered in Ireland by An Taisce in an international scheme that involves more than 60 countries.